Cooking is a passion for many so why not present your favorite Chef with this fun Personalized Chef Apron. It is a great way to say you love their cooking and the precious time it takes to make each delicious meal with Personalized Aprons. This custom bib apron measures 20” Wide x 30” Tall and features multiple pockets for convenient storage along with an adjustable neck strap for a comfortable fit. Machine washable. Includes FREE Personalization! 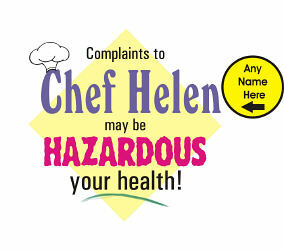 Personalize your Chef Apron with any name. Our Personalized Aprons are perfect for Christmas, Mother's Day, Grandparents Day, Sweetest Day, Valentines Day & Birthdays. 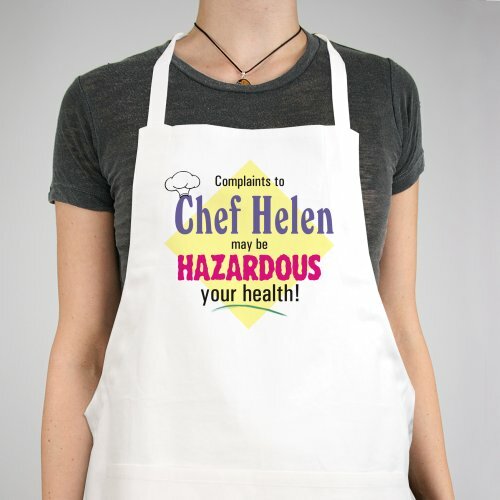 Create a Custom Printed Apron for someone in your family today. Mom, Nana, Grandma or Granny will love this wonderful apron which you have personalized just for them.